Deja Vu has struck Nepal and UAE with their current T20 series being held in Dubai also panning out like their recently concluded ODI series which saw UAE take the lead, only for Nepal to level it up courtesy of Paras Khadka. If the same pattern is to be considered then it isn't going to end well of UAE, who have been impressive with the ball in both games and have been undone by Sandeep Lamichhane and Sompal Kami consistently in the tour. On the other hand, Nepal had Dipendra Airee to thank for after this crucial knock saw them edge the hosts in a do-or-die clash for them. With the third and final T20 set to be held at the same venue, it promises to be another thriller of a game. Ashfaq Ahmed has been going through a rough patch with the opener not able to get going. He could be replaced by Chirag Suri, who was incidentally dropped for a dreadful ODI series against the same opposition. Apart from the one change, UAE should field the same side that has served them well in the previous two matches with Sultan Ahmed also justifying his place in the side with an economical spell of bowling in both matches. The onus is once again on Shaiman Anwar to guide UAE to a series win. Possible XI: Suri/Ashfaq, Rizwan, Shabber (WK), Anwar, Usman, Boota, Haider, Hayat, Naveed(C), Sultan and Zahoor. Pradeep Airee has disappointed in both matches and could make way for Binod Bhandari. Paras Khadka had a rare failure in the previous match but a player of his quality should come back with a better performance in the series decider. Sandeep Lamichhane and Sompal Kami are key to the Nepal side and their performances will be crucial in determining the winner of the match. Possible XI: Bhandari(WK), Malla, Khadka (C), KC Karan, Airee, Sundeep, Sarraf, Kami, Lamichhane, Bohara and Rajbanshi. Wicket-keeper: Shabber Ghulam is the ideal option with the likes of Bhandari and Pradeep Airee not performing against a quality UAE pace attack. Ghulam has showcased his talent in patches and would be itching to get going for the team's cause. Batsmen: Shaiman Anwar is one player you wouldn't want to miss out after leading UAE to a brilliant win in the first T20. Along with him, the likes of Mohammed Usman, Mohammed Boota and Sundeep Jora are also handy options to have in the team. All-rounders: Sompal Kami and Paras Khadka have been utterly sensational for Nepal throughout the UAE tour and have to be picked without any hint of hesitation. Along with the aforementioned duo, either Rizwan or Dipendra Airee would suffice with both of them top-scoring for their respective teams in the previous match. Bowling: Sandeep Lamichhane and Mohammed Naveed are must-haves in the fantasy team along. Lamichhane has been tough to put away and has four wickets also to his name in the two matches indicating his value to the Nepal team. Sultan Ahmed and Avinash Bohara are also viable options for the fantasy team. Captain: After a rare failure in the second T20, Paras Khadka should be backed for a good performance in a crucial clash while the likes of Shaiman Anwar and Sandeep Lamichhane can also be trusted with the appointment of captain to their name in the fantasy team. 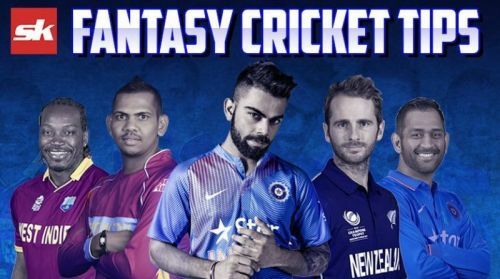 Fantasy Suggestion #1: Ghulam Shabber (WK), Shaiman Anwar, Mohammed Usman, Sundeep Jora, Paras Khadka, Sompal Kami, CP Rizwan, Sandeep Lamichhane, Mohammed Naveed, Amir Hayat and KC Karan. Captain: Paras Khadka. Fantasy Suggestion #2: Ghulam Shabber (WK), Shaiman Anwar, Mohammed Usman, Mohammed Boota, Sompal Kami, Paras Khadka, Dipendra Airee, Sandeep Lamichhane, Mohammed Naveed, Sultan Ahmed and Avinash Bohara. Captain: Sandeep Lamichhane.